Bernard Tomic is an Australian professional tennis player who is the highest ranked Australian male tennis player and the youngest player in the top 50. Tomic entered the Tennis career playing at a junior level. 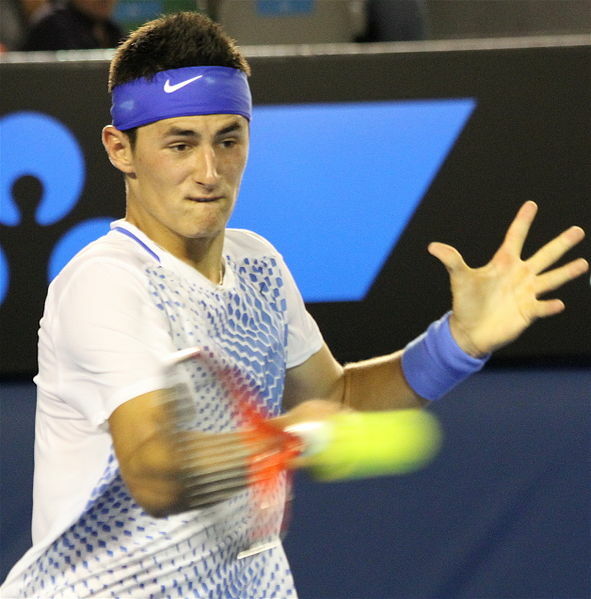 In 2004, 2006 and 2007 respectively, Tomic won the 12s, 14s and 16s Orange Bowl titles – one of the most prestigious events on the junior tour. He played his first singles event on the junior tour in 2006 and won the Sunsmart 18 and Under Canterbury Championship title. His lucky streak continued as he went on to win next three tournaments as well. He made his senior professional debut at the 2008 Australian Open. In 2009, Tomic was given a wildcard entry into his first ATP event which he won making him the youngest ever male tennis player to win a senior Australian Open Grand Slam tournament match. The same year Tomic also won the US Open Juniors title by defeating Chase Buchanan in the final. In early 2010, Tomic entered the Burnie Challenger tournament in Tasmania and won the event defeating Greg Jones. In 2012, Tomic took part in the AAMI Classic and won the tounament after beating Mardy Fish in the finals. He has also participated in a number of Davis Cup competitions as well.